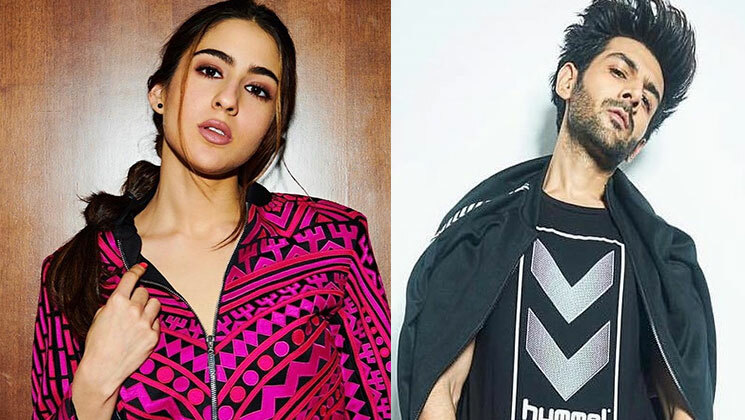 Sara Ali Khan and Kartik Aaryan are teaming up for Imtiaz Ali’s upcoming directorial. The movie is touted as the second instalment of ‘Love Aaj Kal’ but there had been no confirmation of the same till date. As per latest reports, the romantic drama has finally got its title. As per DNA reports, the makers have locked the title of the film and the title gives us a hint that it could be a sequel to Saif Ali Khan and Deepika Padukone starrer ‘Love Aaj Kal’. Yes, the Sara Ali Khan and Kartik Aaryan starrer will be called ‘Aaj Kal’. Sara and Kartik had been shooting for the first schedule in Delhi. Recently, the fresher Jodi wrapped the Delhi schedule and shared a video of the wrap-up. In the video, Sara is seen introducing herself as well as Kartik. They also greeted their fans and cut a cake at the wrap-up bash. Sara and Kartik had earlier shared the first look of the movie on their Instagram profile. Also starring Randeep Hooda in a pivotal role, ‘Aaj Kal’ is slated to release on February 14, 2020.